Ok, the obvious question, "Why did you - me - wait so long to buy a DSLR?" I've been and always will be a film-based photographer. I like film. I like everything about it, the different films, and the camera system I use, a Minolta manual focus system dating back to my first SRT-101 which is still working and used occasionally. I have 14 bodies and about 30 lenses (lost count) along with bellows and micro lenses, power grips, 5 flashes for studio work, and associated and assundry equipment. I like film. I have almost two shelves in my refrigerator constantly full of film, to use, and often shoot 15-20 rolls over specific projects I do, like parades, events, etc. And it's not uncommon to shoot 10-20 rolls over a weekend doing nature and landscape photography. And I've been learning small still-life studio photography with the flashes in softboxes and Pocket Wizards wireless systems. Yes, you can make a 20+ year old system be new again with these and a Sekonic L-358 light meter. I like shooting film. I like the feel of a Minolta X-700 with a MD-1 motordrive. I don't mind swapping out film every 36 or so shots. It's part of the work. You load, set, shoot and forget, and focus on the subject at hand. It's hard to beat and has worked well for many photographers for decades. Ask the National Geographic photographers who shot and still shoot film with newer 35mm SLR's. So the reason to add digital seems contradictory to all I believe? Well, yes and no. No if I say it replaces film. I'll still shoot film for many uses. Yes, if I say I can't keep shooting film at $300 or more a month. In retirement, it's simply not affordable without additional income to offset the costs, something I don't want to do. I want to work on my photography and life, not working for anyone else for awhile. So, it wasn't really a choice, but convincing myself it's a good thing was the hardest part. 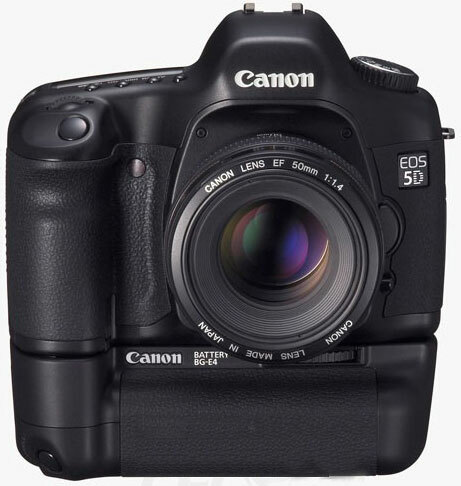 So, a Canon 5D huh? Yup. So, what else and your impression? Next columm.